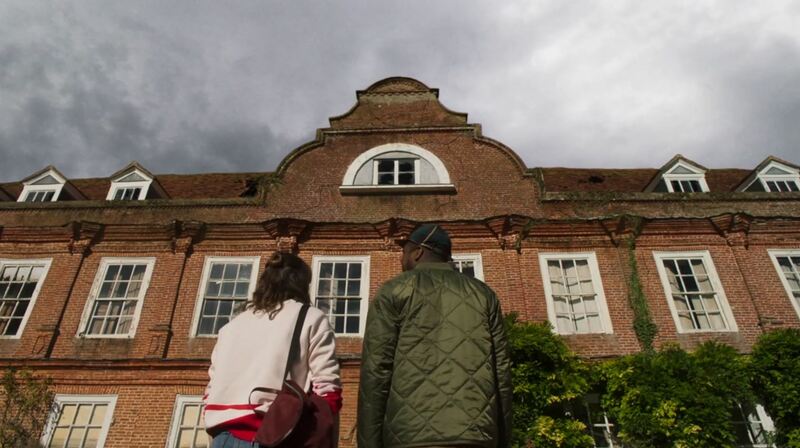 “Ghosts,” a BBC situation comedy, is set in a grand country house. 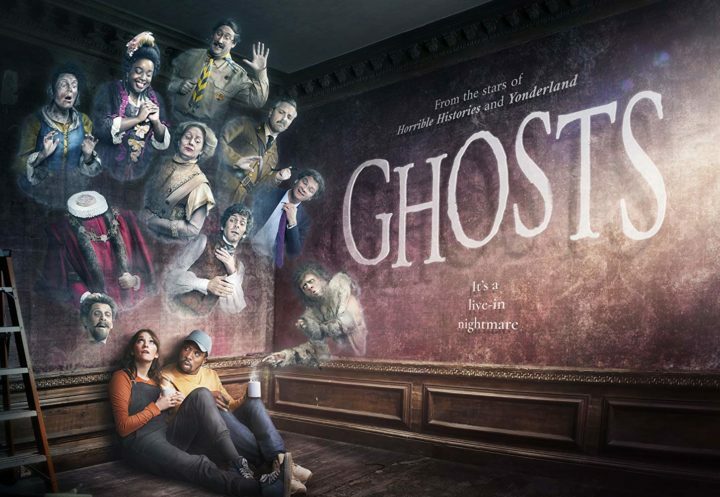 Directed by Tom Kingsley, the series is the brainchild of the team that created “Horrible Histories” and “Yonderland.” The first episode of “Ghosts,” Who Do You Think You Are?, hit British television screens on Monday, 15 April 2019. 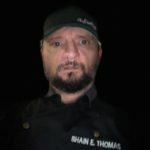 With “Ghosts” set in a haunted house with numerous ghosts, there are moments where one might want to hide behind the couch. Despite this point, it is primarily a comedy. A young hard up strapped for cash couple, Alison and Mike, are seeking somewhere they can call home. 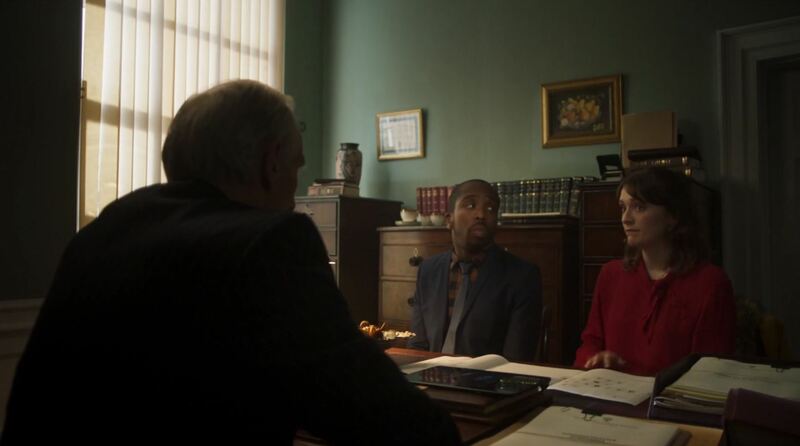 During a flat viewing, Alison receives a telephone call informing her of an inheritance. Lady Button, having died in her sleep, has bequeathed upon Alison a country house. The couple are thinking of converting the house into a hotel. Unfortunately for the couple, the house is in such a state, it would require significant funds. Mike, knowing Alison desires to see her dreams come true, takes out loans to make it a reality. The ghosts are not enthusiastic about the couple’s plans to renovate the house and turn it into a hotel. After Julian pushes Alison out of a second-floor window, she can see and hear them. Alison and Mike are played by Charlotte Ritchie and Kiell Smith-Bynoe, respectively. Richie, best known for playing Nurse Barbara Gilbert in the Heidi Thomas-created “Call the Midwife,” is every bit as comfortable with comedy as she is with period drama. Exemplifying this point, the London-born actress played Oregon in Jesse Armstrong and Sam Bain co-created comedy “Fresh Meat” for four seasons. Like Ritchie, Smith-Bynoe has worked on various television genre inclusive of crime drama and comedy. 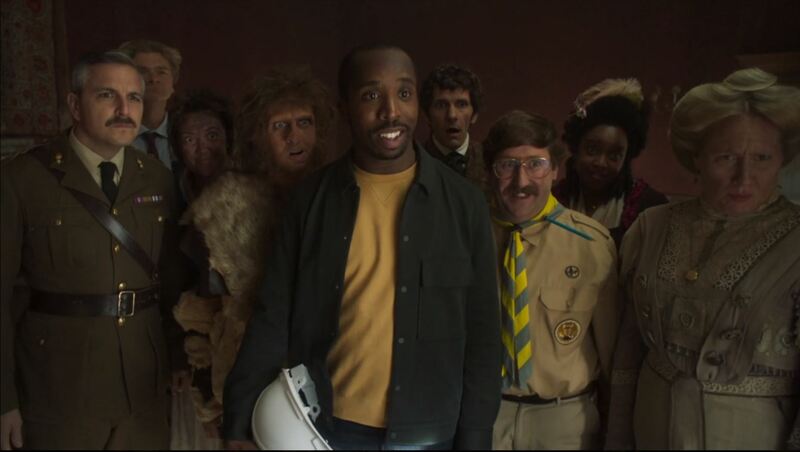 Screen Capture: Ben Willbond, Jim Howick, Laurence Rickard, Mathew Baynton , Simon Farnaby and Martha Howe-Douglas as the ghosts Captain, Pat, Robin, Thomas, Julian and Lady Button respectively. Also seen here, played by Kiell Smith-Bynoe, is Alison’s boyfriend, Mike. “Ghosts.” Image Credit: BBC One. The title characters of the series are played by series creators Ben Willbond, Jim Howick, Laurence Rickard, Martha Howe-Douglas, Mathew Baynton and Simon Farnaby. Joining the series creators as a ghost is Yani Xander. The costumes indicate each ghost is representative of a different period in British history. The Captain (Willbond), from the way he expresses himself, seems to think of himself as the leader of the ghosts. What would one expect? He’s a military man. While The Captain likes to think he’s the leader, the matriarch of the group is Lady ‘Fanny’ Button (Howe-Douglas). Button is a real peach. Her demeanour has an “Edwardian matriarch” feel. She is representative of a true leader. Pat (Howick), since he is clearly wearing a vintage scout uniform, is a scout leader. The poet (Baynton) of the house is Thomas Thorne. Every time Thomas attempts to express his thoughts, he cannot help but do it in a poetic fashion which annoys the other ghosts. Julian (Farnaby) is an odd kettle of fish. We frequently see this ghost without trousers. Could it be this character met his end without his pants on? Headless John Body (Xander) is more headless than Harry Potter’s Nearly-Headless Nick. Do you recognise the country house Alison inherits? If you live in Surrey, you will recognise the house. 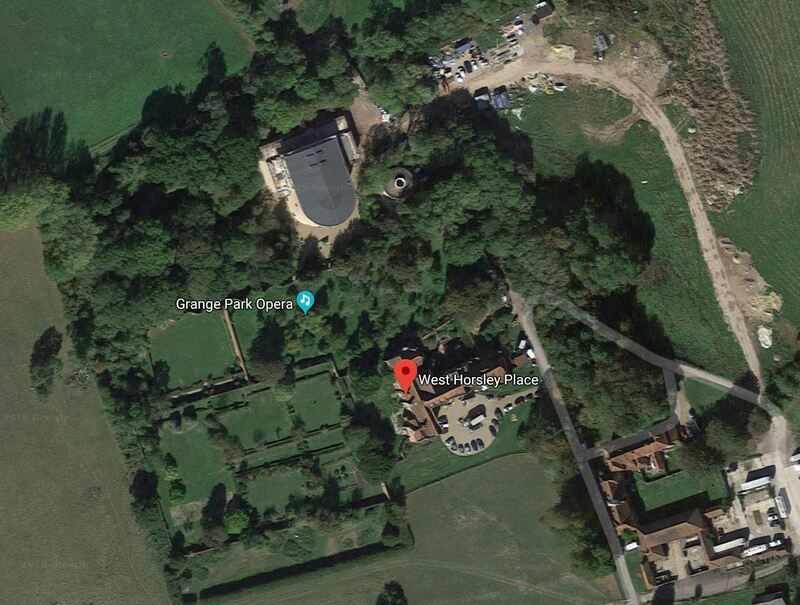 It is West Horsley Place. West Horsley Place, a Grade I listed-building, is a 15th century country house. It is the perfect setting for a situation comedy revolving around ghosts. Screen Capture. West Horsley Place. Image Credit: Google Maps. In the grounds of the house, there is a 700-seat theatre. The Grand Park Opera, a professional opera company, took up residence of the theatre in 2017. Is there a series have a trailer? British comedy does not always translate well across the pond. There many reasons for this, the principle of which is, Americans regard British comedy as being dry. What do Americans mean when they say British comedy is dry? What exactly is a dry sense of humour? If anything, British humour is not bombastic. It requires viewers to think. American humour, in contrast, does not require much thought to find it funny. The humour in “Ghosts,” like other British comedies, is not over-the-top. The next episode in the series, “Gorilla War,” will hit television screens in the British Isles and the BBC iPlayer on Monday, 22 April 2019 at 21:30 (9:30 p.m.). With a BSc focusing on geography, history and political science and an MSc revolving around communication studies, history and journalism, I’m a freelance Journalist and social historian.